Western Spirit: Scottsdale’s Museum of the West, Scottsdale, scottsdalemuseumwest.org. 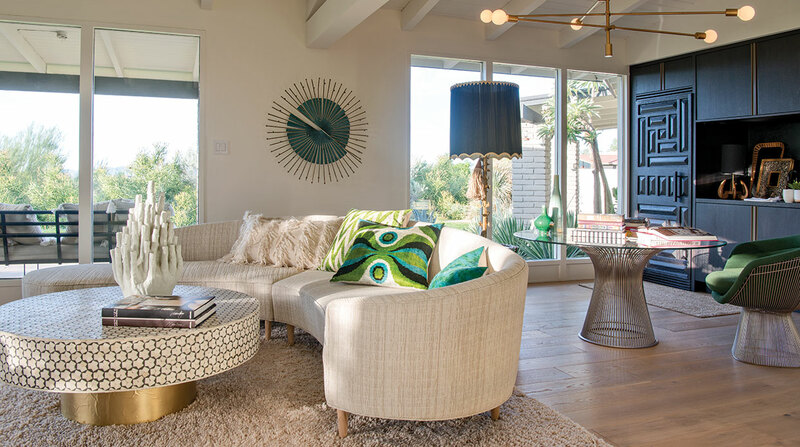 Interior designer: Karen Rapp, ASID, Karen Rapp Interiors, Phoenix, karenrappinteriors.com. Landscape architect: Russell Greey, Greey Pickett, Scottsdale, greeypickett.com. Chef: Jennifer Russo, The Market Restaurant + Bar, Phoenix, themarketbyjennifers.com. 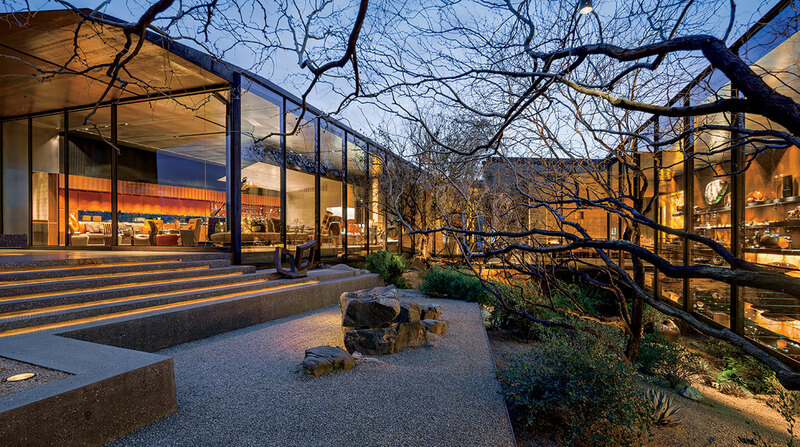 Architect: Dale Gardon, AIA; Dale Gardon Design, Scottsdale, dalegardondesign.com. Builder: Anthony Salcito, Salcito Custom Homes, Scottsdale, salcito.com. Interior designer: Sloane Marshall, Sloane Marshall Interiors Inc., Denver, Colorado; sloanemarshallinteriors.com. 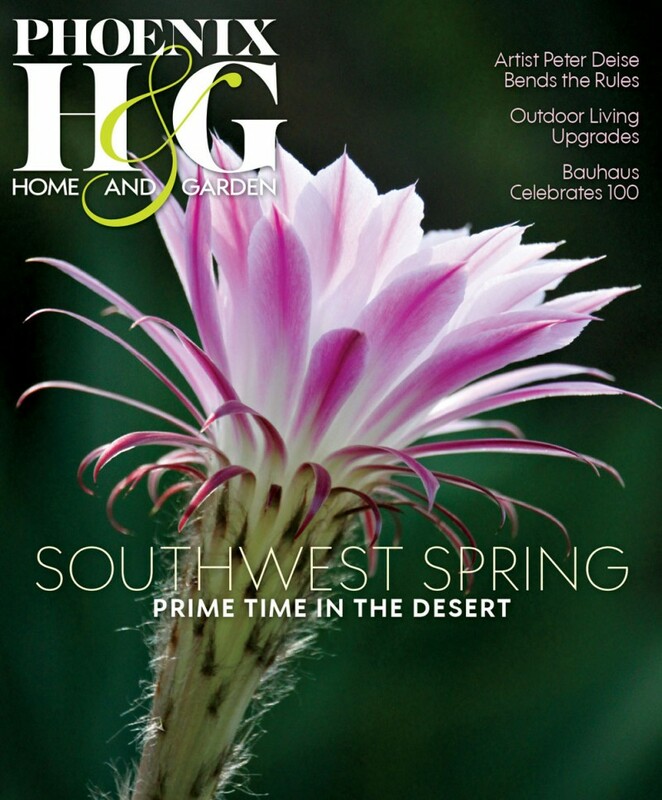 Landscape designer: Jeff Berghoff, Berghoff Design Group, Scottsdale, berghoffdesign.com. LIVING ROOM—Sofa and cocktail table: roche-bobois.com. Area rug: David E. Adler Fine Rugs, Scottsdale, davideadler.com. ENTRY—Windows: windsorwindows.com; fleetwoodusa.com. Bronze sculpture: corbinbronze.com. Wood flooring: Premiere Wood Floors Inc., Scottsdale, premierewoodfloors.com. KTCHEN—Cabinetry and table (custom): Linear Fine Woodworking, Phoenix, linearfinewoodworking.com. Chairs: Copenhagen, Phoenix, copenhagenliving.com. Appliances: monarkhome.com. Table lamps: Thingz, Scottsdale, thingzcontemporary.com. DINING ROOM—Table top and credenza (custom): linearfinewoodworking.com. Table base and chairs: costantinipietro.com. Area rug: davideadler.com. Chandelier: swarovski-lighting.com. Art: Phoenix Art Group, Phoenix, viapagi.phxartgroup.com. GUEST WING—Guest bedroom bed: copenhagenliving.com. Sink: kreoo.com. Art: viapagi.phxartgroup.com. Pendant light: thingzcontemporary.com. Sitting room sofa: natuzzi.com. Chairs and bed: roche-bobois.com. Art: viapagi.phxartgroup.com. Drapery fabric: pindler.com. PATIO— Pool builder: Phoenician Pool Construction, Scottsdale, phoenicianpool.com. Outdoor furniture: Inside/Out Showrooms, Scottsdale, insideoutshowrooms.com; johnbrooksinc.com. 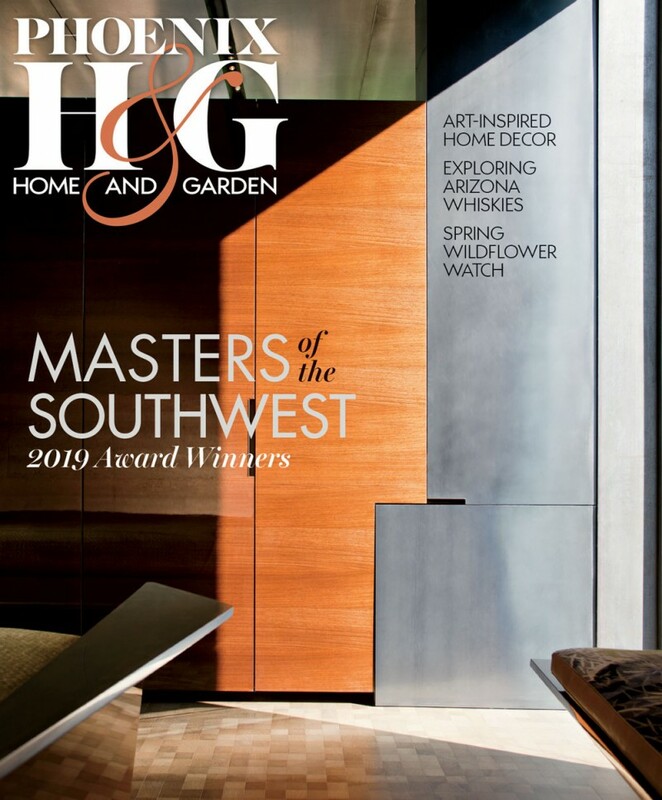 Landscape designer: Jeremy McVicars, Refined Gardens, Scottsdale, refinedgardens.com. Project manager: Ryan Sawdey, refinedgardens.com. Architect: Scott Carson, AIA, NCARB, LEED AP, PHX Architecture, Scottsdale, phxarch.com. Builder: Steve Sommer, Sommer Custom Homes LLC, Scottsdale, sommercustomhomes.com. Interior designer: Lauren Rautbord, Paul Lauren Design Consultants, Scottsdale, paullaurendesigns.com. Landscape designer: Chris Knight, Mossman Brothers Pools, Scottsdale, mossmanbrotherspools.com. EXTERIOR—Stone, windows and patio doors: Modern Group, Scottsdale, moderngroupaz.com. Ironwork: Creative Metals, Tempe, creativemetalsaz.com. Front door: Rustic Decor Store, Scottsdale, rusticdecorstore.com. LIVING ROOM—Interior doors and millwork: Door Works, Tempe, doorworksusa.com. Wood flooring: Premiere Wood Floors Inc., Scottsdale, premierewoodfloors.com. Lens tables and coffee table: Holly Hunt, Scottsdale, hollyhunt.com. Sofa: arudin.com. Chandelier: ralphlauren.com. Lamp: rh.com. Rug: Azadi Fine Rugs, Scottsdale, azadifinerugs.com. Chairs: paullaurendesigns.com. KITCHEN—Cabinets: Goodall Custom Cabinetry & Millwork, Glendale, goodallllc.com. Countertops: Chisel Marble & Granite, Scottsdale, chiselgranite.com. Pendants: visualcomfort.com. Counter stools: rh.com. Appliances: ferguson.com. Cooktop hood (custom): Architectural Metals, Phoenix, architectural-metals.com. Slab: arizonatile.com. DINING ROOM—Chandelier: visualcomfort.com. 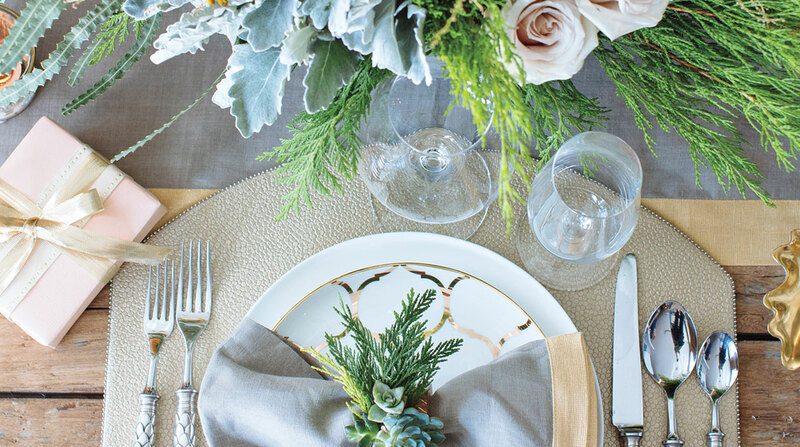 Chairs: bernhardt.com. Console: arteriorshome.com. POWDER ROOM—Wallpaper: phillipjeffries.com. Dresser and sconces: rh.com. Mirror: arteriorshome.com. OFFICE—Cabinetry: goodallllc.com. Chandelier: rh.com. Rug: Underfoot, Scottsdale, underfootaz.com. PATIO—Exterior pots, planters and water features: Plant Stand of Arizona, Phoenix, plantstandaz.com. Exterior travertine: Monterrey Tile & Stone, Chandler, monterreytile.com. Landscape lighting: Ewing Irrigation & Landscape Supply, Phoenix, ewingirrigation.com. Patio chairs: brownjordan.com. Side tables and large tables: rh.com. MASTER BATH—Shower and floor tile: chiselgranite.com. Stool: interludehome.com. Chaise: donghia.com. Chandelier: paullaurendesigns.com. MASTER BEDROOM—Chairs: paullaurendesigns.com. Bed: bernhardt.com. Lamps: ralphlauren.com. Bedside dressers and chandelier: rh.com. Architect (studio): Thamarit Suchart, AIA, and Patricia Szu-Ping Chen Suchart, Chen+Suchart Studio, Scottsdale, chensuchartstudio.com. 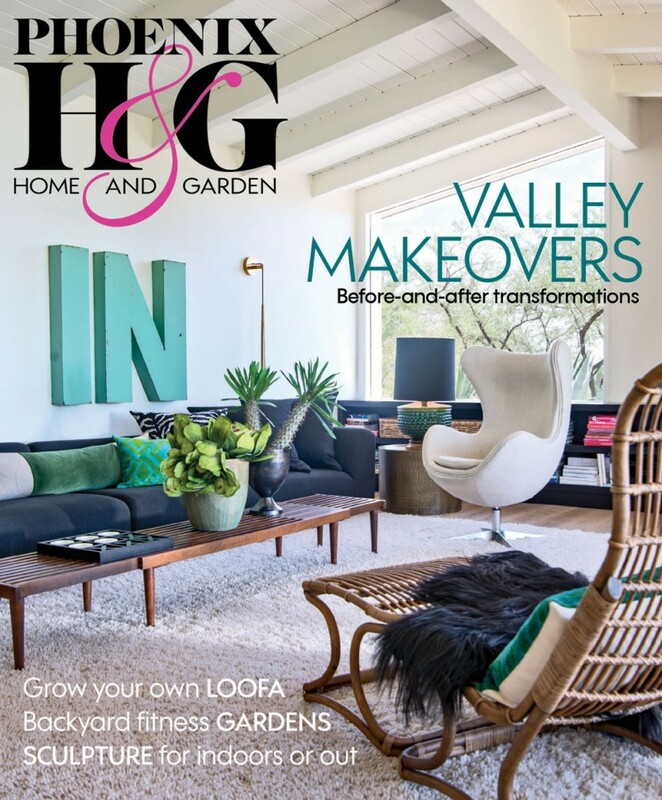 Builders: Joby Dutton and Mike Alexander, Verge Design:Build, Phoenix, (602) 334-5569. 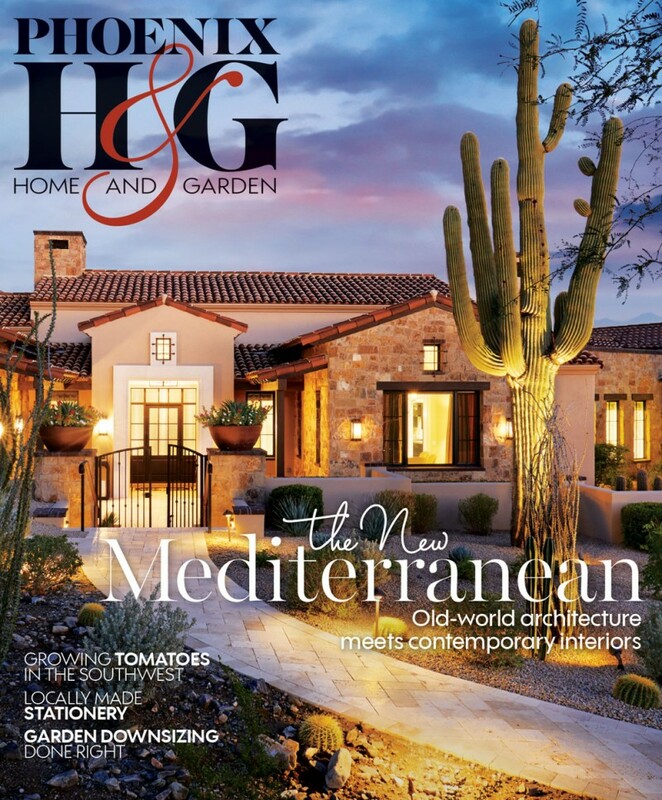 Landscape designer: Brian Kissinger, Thomas and Todd, Phoenix, thomasandtodd.com. Remodel architect (house): Thompson + Pollari, Phoenix, tp-studio.com. DINING ROOM—Concrete wall, dining table and fireplace mantel: Cody Carpenter, the-studiomake.com. All artwork: Chad Little, Paradise Valley, chadlittleart.com. Architect: Andrew Carson, Carson Architecture & Design, Scottsdale, carsonarchitectureanddesign.com. Builder: Brad White, Bradleybuilt Construction, Mesa, bradleybuiltaz.com. 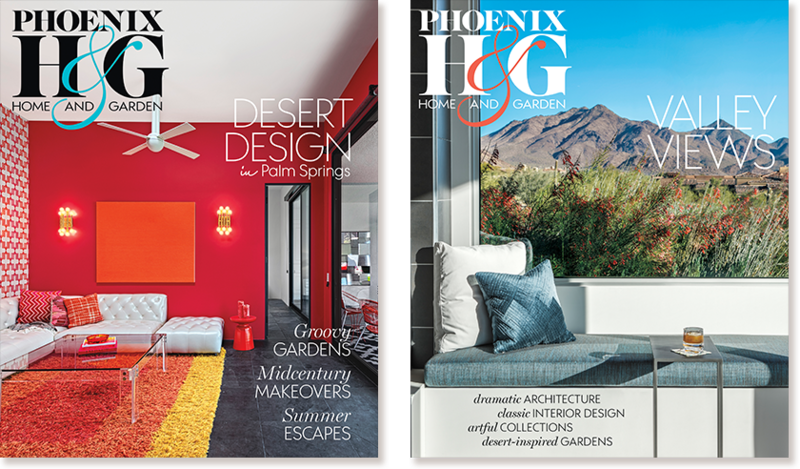 Interior designer: Richard Jacobson, Richard Jacobson Design, Scottsdale, (602) 717-4889. GREAT ROOM—Floor tile: arizonatile.com. Doors and windows: sierrapacificwindows.com. Courtyard cactus panel art: Beth Zink, Cave Creek, bethzinkart.com. EXTERIOR AND FRONT COURTYARD—Roofing: Daley Roofing LLC, Phoenix, (602) 271-9600. Courtyard gate: Colletti Design, Tempe, collettidesign.com. KITCHEN—Cabinetry: Affinity Kitchens, Scottsdale, affinitykitchens.com. Backsplash and glass panel on island: Meltdown Glass Art & Design, Tempe, meltdownglass.com. Countertops: arizonatile.com. OFFICE—Desk cabinetry: Divan Wood Cabinets, Phoenix, (602) 614-5254. REAR COURTYARD—Fire table: designed by carsonarchitectureanddesign.com; fabricated by Arizona Backyard Custom, Mesa, azbackyardcustom.com. Water feature: designed by carsonarchitectureanddesign.com; fabricated by Native Arizona Landscapes, Cave Creek, (602) 695-8072.